← Don’t Eat the White Snow Either! What is Made of Gingerbread and Tastes of Victory? 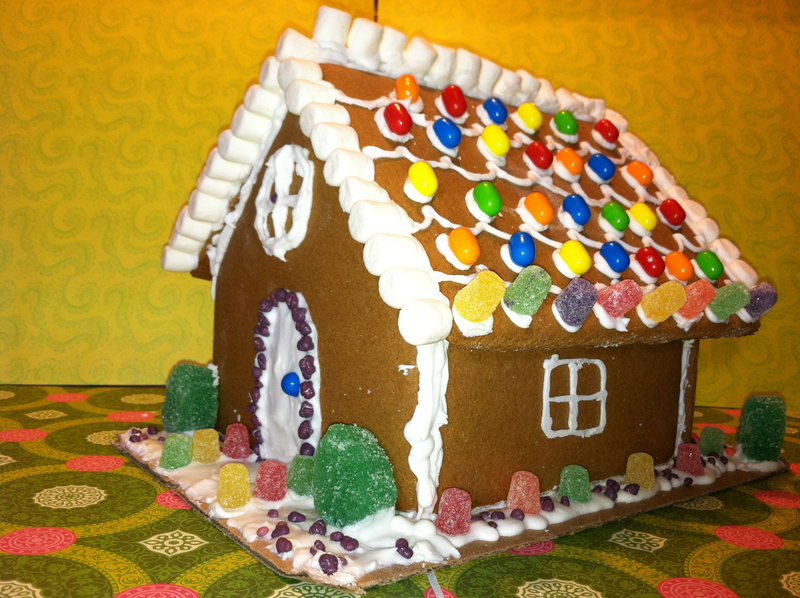 Hopefully the Gingerbread house that Sam and I made for the Ginger 2011 competition on movita’s blog does! Check out our quirky little creation, but then feast your eyes on some of the truly beautiful, edible edifices some of her readers created. You should spend some time checking out her other posts too. Movita has an offbeat and often biting sense of humor and she makes me laugh out loud. Posted in Christmas Cards and tagged Christmas crafts, Gingerbread house, Gingerbread kit, royal icing, Wilton. Bookmark the permalink.